I love waterfront dining, whether its overlooking Sydney Harbour, or the beauty of the French Riviera or the Venetian Canals – there something about blue waters that make you feel a little more relaxed. 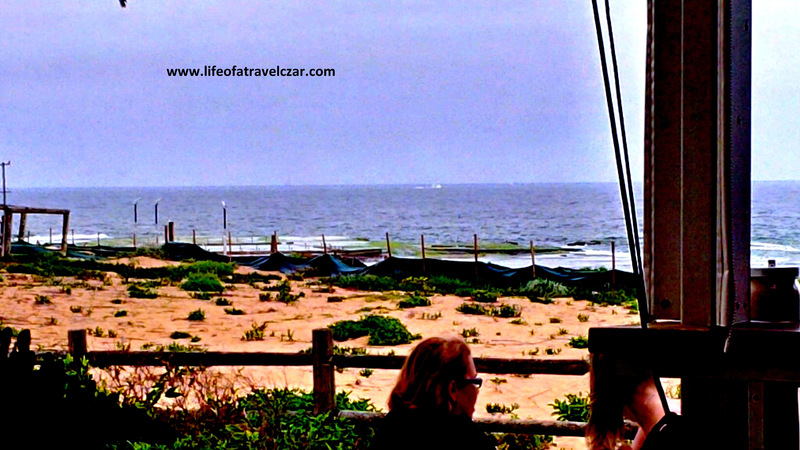 Today I am at Bronze Kiosk on Mona Vale Beach – its a beautiful little cafe perfect right on the footsteps of the beach. This is a view from my seat! I waltz inside to order and I have my heart set on the steak sandwich, but when I go to order a glass of appropriate red wine to pair it with, I am told they don’t do red wines by the glass only white wines?? Seriously, that is not a cool policy… as such I change my food order to appropriately match a glass of Pinot Gris. The outer crispy batter of the crab is pure heaven to bite through releasing the spicy flavours of the seasoning in the batter. The soft, succulent flaky crab meat is sweet and divine and proves to be perfect for this summer afternoon. There is a tangy herby dressing which provides some wonderful floral flourish to the dish. The salad is quite an array of flavours and textures. The tart flavour the green papaya is contrasted with the juicy cherry tomatoes, the crunch of the carrots, the heat of the red onions and the cool cucumbers to provide a refreshing summer oriental salad. Its a chilled experience.